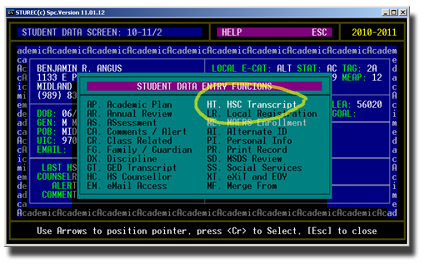 So, somebody needs one of those new "eTran" thingies, you know, the new Electronic Transcript mandated by the State of Michigan. With STUREC(c) it is easy. 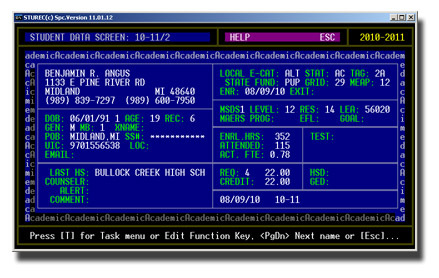 Select Menu:1. 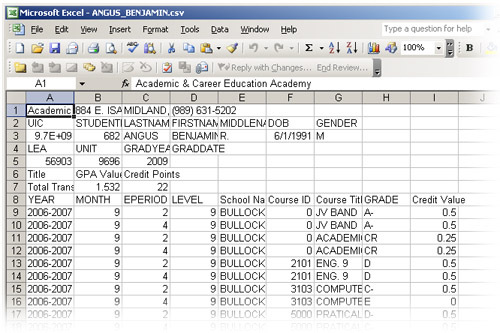 Student Enrollment Data and find the student you need. 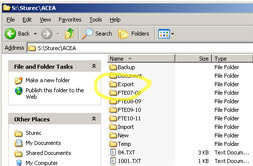 and the extension will be ".csv" You will find this file your your Export folder which is inside of your Sturec folder. 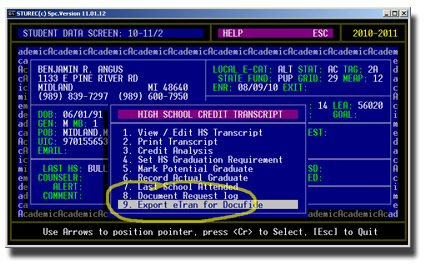 Click on the Export folder and you will see all of your export files... they should be in alphabetical order. 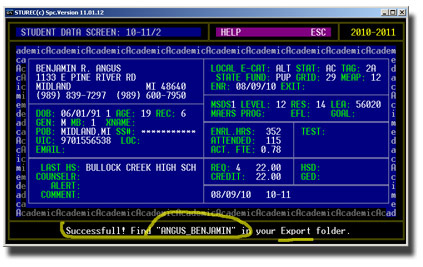 It may not make sense to you, but the Docufide computer knows what to do!